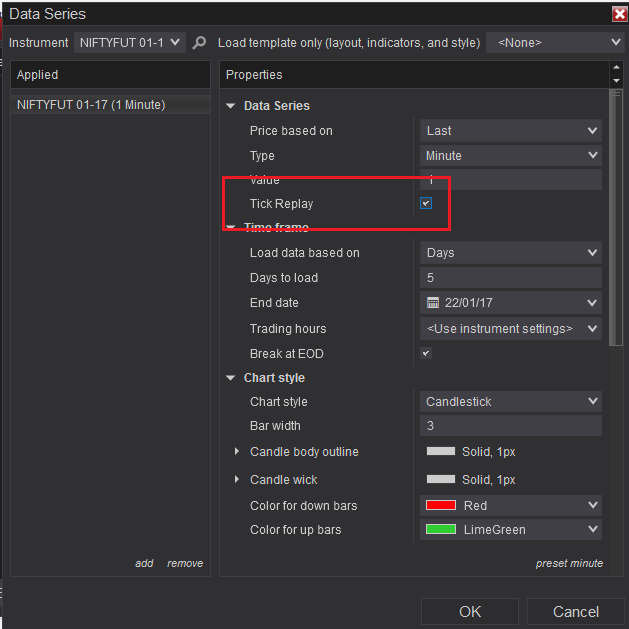 How to Enable Tick Replay Option in NinjaTrader 8 to get OrderFlow Charts? You are here: Home / Ninjatrader 8 / How to Enable Tick Replay Option in NinjaTrader 8 to get OrderFlow Charts? If you are a Orderflow user migrating to Ninjatrader 8, then you might struggle a little bit in setting up you orderflow charts in Ninjatrader 8. 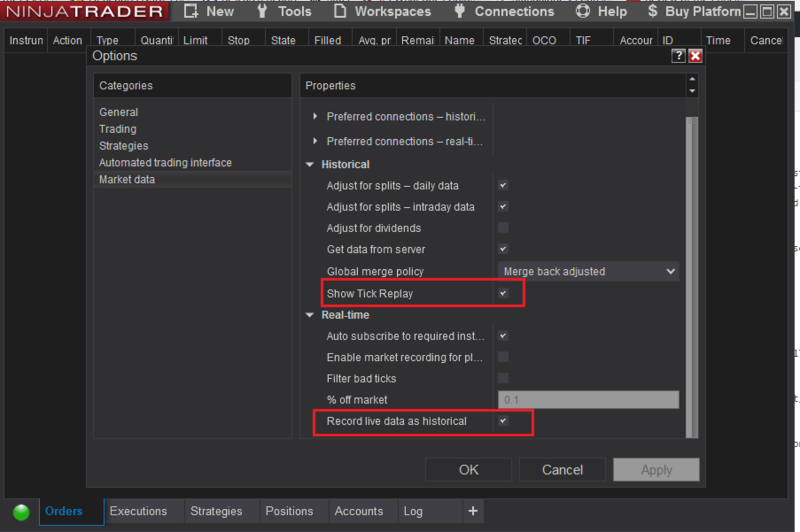 In order to setup orderflow indicator in Ninjatrader 8, along with your existing orderflow indicator you need to enable to optional feature Tick Replay in NT8. Tick replay is a property that can be optionally enabled on NinjaScript indicators and strategies which will ensure that the market data (bid/ask/last) that went into building a bar is loaded in the exact sequence of market data events. This guarantees that your indicators and strategies are historically calculated tick-per-tick exactly as they would have been if the indicator/strategy was running live during a period. Tick replay can be enabled for indicators used in Charts, Market Analyzers, and Strategies. Any Orderflow Indicator that supports NT8 and Tick by Tick Data Vendor (NimbleNT – Recommeded Vendor for NSE Cash, NSE FNO, NSE CDS, MCX Futures). 2)Now we need to enable Tick Replay feature at Symbol level. To do open a new charts from New->Charts and use the search option to get the required symbol. After the symbol selection goto the properties section and enable Tick Replay feature at symbol level. 3)Now Apply your Orderflow Indicator with Necessary Settings.